If your idea of a holiday is two buck Chuck and those TJ's ginger snap cookies, Christmas is coming early this year. 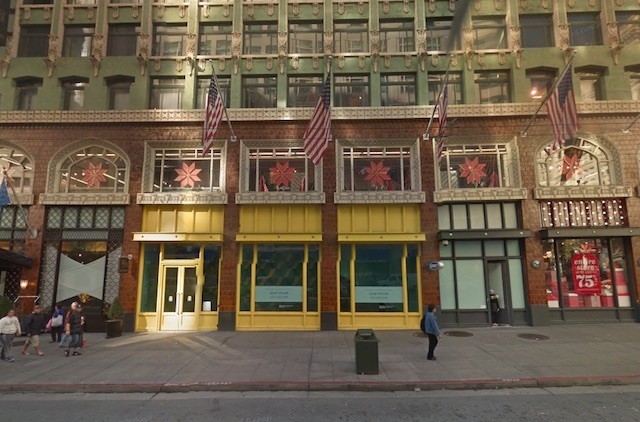 Though word last month was that San Francisco's sixth Trader Joe's location, this one at Fourth and Market Streets, wouldn't be open until March, the store announces on its site that a Grand Opening will be held next Thursday, February 16. Cancel your 8 a.m. meetings. The Weekly, who spotted the announcement notes that TJ's has more than 450 stores across the country. This location is set in a scenic basement beneath Old Navy, a space that's previously served as a retail space, a storage space, and an empty space. Beware: There's no parking. It was originally set to open last fall, even putting out the call for employees before delaying into 2017. Now that it's here, we'll see you, and our mutual friend Charles Shaw, there sometime soon. Ask A San Francisco Native: Are You An SF Native Snob?